I N D I V I D U A L I T Y: Joey Ma Debut Collection Is in Stores NOW! My debut collection is out now! I am so excited! Even though I am losing money, but this is my dream, and I really hope you guys can support me and buy some pieces please! Microwave: G/F, 7 School Street, Tai Hang, Causeway Bay, Hong Kong. Kniq: Flat 4B , Vienna Mansion, 55 Paterson Street, Hong Kong. 2 %: The One, L321, 100 Nathan Road, TST, Hong Kong. WIP Flagship Store: 12 Yiu Wa Street, Causeway Bay, Hong Kong. Wut Berlin: 5-1-15 Jingumae, Shibuya-ku, Tokyo, Japan. 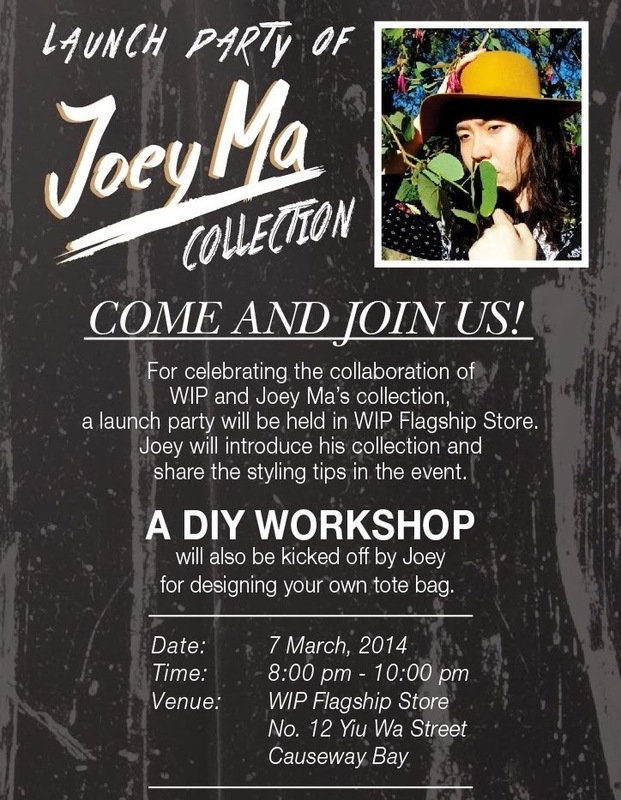 Moreover, there will be a launch event at WIP this Friday! Please stop by if you are around, thank you all so much again.